Apple has released an update for the Apple TV (second gen). The update addresses a few small issues. TV resolution fix which addresses an issue that causes some high-definition TVs to incorrectly display at 480p. Download fix that addresses an issue that may cause a movie or TV show to be re-downloaded. 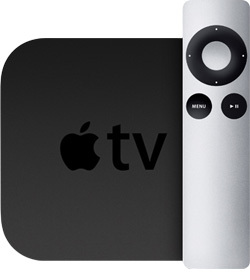 For more information about the update: About Apple TV (2nd generation) software updates. And How to update Apple TV software.